ITS CUTE WHEN THE KIDS COMPLAIN TO ME ABOUT ABOUT THE WAY T - ProudMummy.com the Web's Community for Mums. 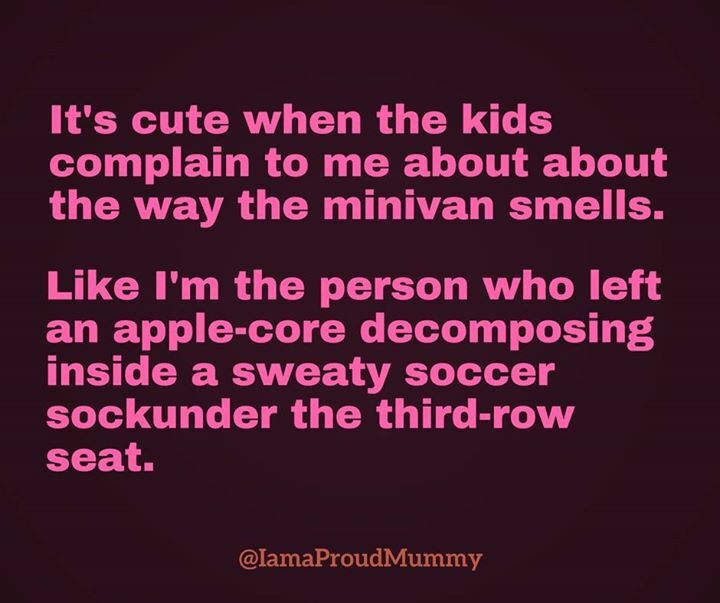 IT'S CUTE WHEN THE KIDS COMPLAIN TO ME ABOUT ABOUT THE WAY THE MINIVAN SMELLS. LIKE I'M THE PERSON WHO LEFT AN APPLE-CORE DECOMPOSING INSIDE A SWEATY SOCCER SOCKUNDER THE THIRD-ROW SEAT.